The importance of improving employee engagement and happiness cannot be emphasized enough. Engaged employees will always be more productive and efficient than those who are unhappy in their roles. The benefits that come along with engaged employees can be quite clear once you've seen it in action. Creating a plan to increase employee engagement isn't always easy, especially if you don't know where to start. While you may get discouraged about poor employee engagement levels, remember ... there are many things you can do to make a change. 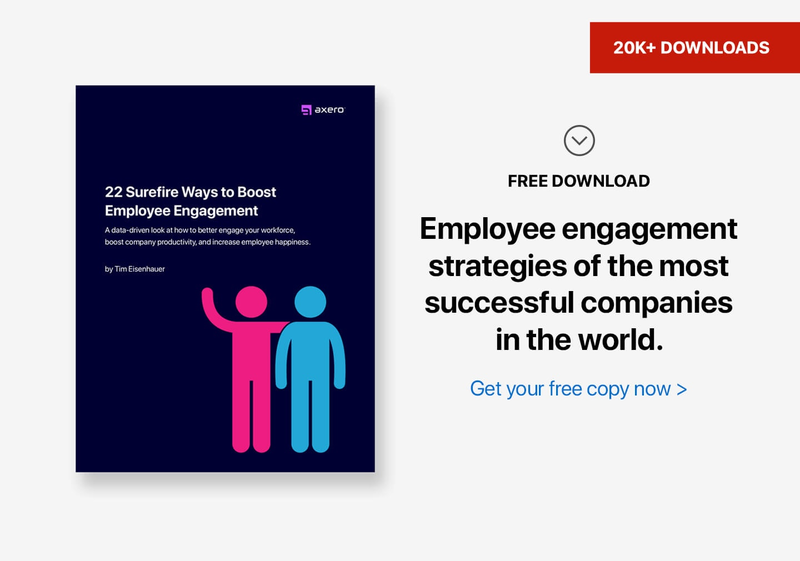 Keep the following employee engagement best practices in mind, and you'll end up seeing the results you're looking for. 1. Build trust, be human, and default to open. In any type of relationship, people favor a human connection. So it's not surprising that employees put greater trust in their bosses when they know them on a personal level. Showing your human side becomes the biggest untapped source of employee engagement! "Default to open" is another way to build trust and be human. This means equal access to information from the start, then choose what, if anything, needs to be confidential. When you are open with people, they tend to be more open with you. Many companies today are rethinking this concept and sharing everything—while thinking what not to share. 2. Start at the top, with executives and management. An important thing to remember to when trying to improve your employee engagement strategy is that management is the model for change you're hoping to see. You could preach engagement to your employees on a daily basis, but it's going to be hypocritical if you can't prove that you are engaged. Giving every project 110% and being a consistent, powerful force is the best way to embody the level of engagement you're looking to see. Your employees will follow suit and embrace these tactics as well. 3. Articulate goals and responsibilities. If employees don't know what to do, it's no wonder employee engagement is suffering. Being engaged means being on top of the situation. This is next to impossible when there are doubts about actual goals and responsibilities. Articulating goals and responsibilities in a clear manner is essential to improve employee engagement. This requires more than just verbal articulation, too. 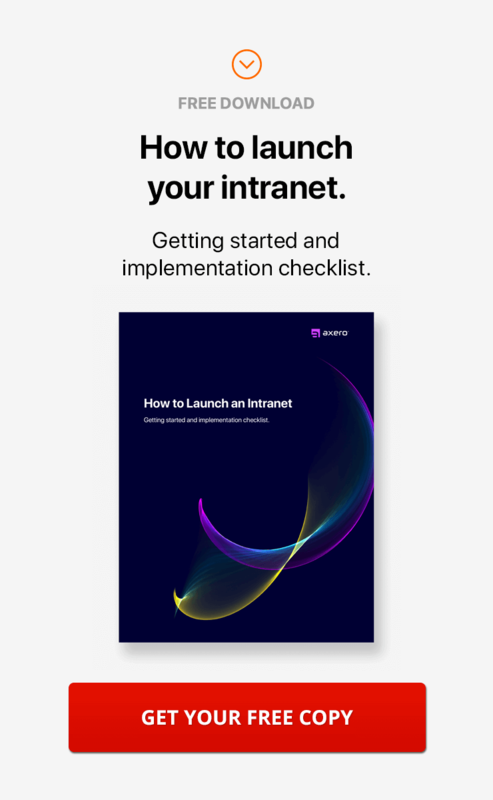 For example, you could try to create the best possible internal documentation on your company intranet. This can be done with file managers, wiki pages, forums, blog posts, videos, etc. And it can be especially helpful during the onboarding process. 4. Offer help to those who aren't performing well. You can't expect every member of your staff to perform at an exceptional level at all times. More often than not, there are going to be a few individuals that need a helping hand ... especially if they're new to the organization or are stumped on a particular project. Giving special attention to these employees will not only fix the problem, but it shows that you care enough to help. Every manager is pressed for time ... don't use this as an excuse to neglect helping employees when they run into issues. 5. Spot and encourage "power employees." It's important to look for employees who are making great achievements within your organization. These are often referred to as "power employees," and they can make a huge difference for the state of your company. Spot these individuals, reward them, and promote them. 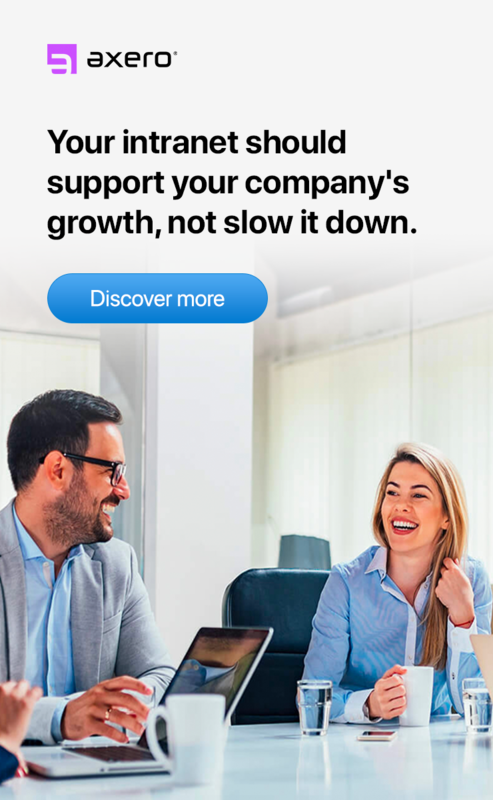 They will help your company move forward. This also makes your job easier in the long run. If you have a company intranet in place, you will notice these individuals posting, commenting, rating, and liking content on regular basis. These are the people providing great insight to move your business forward. 6. Create a forward-thinking work environment. No employee wants to work in an environment that is stuck in the past or doesn't create growth. Your work environment is important, and it has to embody the philosophies of your organization. Create a forward-thinking work environment by improving your office's layout and appearance ... or even move to an entirely different space. At the least, make your work environment a bit more comfortable. Include music, paint the walls, switch out uncomfortable or unattractive furniture, etc. Ask employees what they'd like to see, too. 7. Be careful who you hire. Anyone who hires employees knows just how frustrating a process it can be. What often goes overlooked is the importance of candidates future engagement levels. Many people in charge of hiring hold expertise and experience above all else ... yet it's a person's traits and behaviors that can make a difference. You shouldn't hire just anyone, but it's important to keep in mind how the person you hire will affect employee engagement in your office. If he or she has a great attitude, this could prove more beneficial than a list of past awards and achievements. 8. Be supportive of career planning and advancement. It can be difficult to admit that your employees may one day choose to leave for a different job or career. No one wants to view their business as a stepping stone, but the fact remains that jobs are fluid. Chances are you're not going keep 100% of your employees for years on end. With that said, your employees want to know that you support them and their futures, regardless if it's with your company or not. If you want to see change in engagement levels, help them plan out how they can take their career to new heights. 9. Give people freedom to make their own choices. There's nothing worse than working for a company and feeling as if you're just a cog in the wheel. Those who aren't given the chance to be themselves and work at their own pace will end up feeling unfulfilled. This will obviously have a negative impact on employee engagement. Allowing for elements of freedom in your organization is essential. There are many ways to give more control to your employees without losing any yourself. You can devise a plan for helping employees to work from home, or allow them to come in and out of the office at will ... just as long as they're getting their work done. 10. Promote open and direct communication. Just as with any other type of relationship, communication is key. Still, it's one of the biggest barriers in the professional world, and it hurts employee engagement levels. When employees feel as if they can't speak their needs, comments, or questions to management, engagement levels will fall. Improving workplace communication between your management and employees is essential to increase employee engagement. Promote open communication. All you need to do is be transparent and show your employees that you're here to listen. In the end, you may come across some great ideas that would never have risen to the surface otherwise. 11. Don't confuse "engagement" with "happiness." Every manager wants their staff to be as happy as possible in their roles, as there are many benefits that come along with having happy employees. At the same time, it's common for people to mistake happiness for engagement. Just because an employee exhibits signs of happiness doesn't mean he or she is actually engaged in their job. The two are similar, yet different. Engagement is something you can see in productivity and efficiency, whereas happiness only makes this goal more tangible. Learn to see the differences, and you can figure out how they can work together. 12. Keep things interesting, add some fun. At the core of all employee engagement best practices is interest. 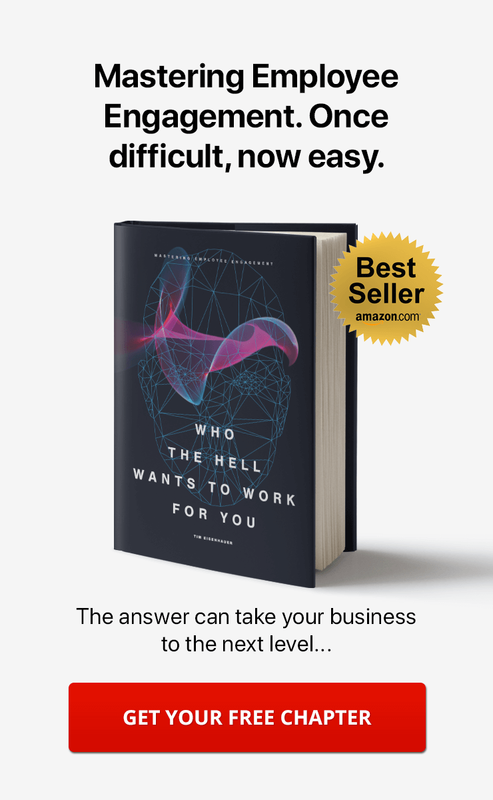 If employees aren't interested in their work and are just going through the motions, there's no way they'll be engaged in any task you give them. Sometimes, enhancing interest is easier said than done, as some work is a bit dry by nature. With that said, anything you can do to make an employee's job fun and enjoyable will benefit your organization ... especially if you're dealing with monotonous, repetitive work. 13. Encourage team-based working methods. While you shouldn't force or demand employees to work together, encouraging teamwork and project collaboration will increase levels of engagement. You might want to assign specific tasks to many individuals when you would typically hand them off to a single employee. Encourage an employee who is spearheading a project to ask for feedback on your company intranet. This is an effective way to help "solo-minded" employees move in a different direction. 14. Make it a daily focus. It's common for management to discuss employee engagement and obsess over making major changes to improve it. While their hearts are usually in the right place, this "all or nothing" approach results in a form of burnout. Rome wasn't built in a day. To improve employee engagement levels in your organization, you have to make it a daily focus. Being consistent with your approach and taking small steps will be more effective than trying to overhaul your business in a matter of days. The latter will make your employees uncomfortable and create discomfort. Chipping away at your goals in a reasonable manner can make all the difference in the world. And there you go, a list of employee engagement best practices. Improving employee engagement in your company can be a lengthy process, but that doesn't mean it's difficult. Pay attention to your progress, devise a plan, and remember to never get discouraged. If you put in the right amount of effort, you're sure to see the results you're looking for.